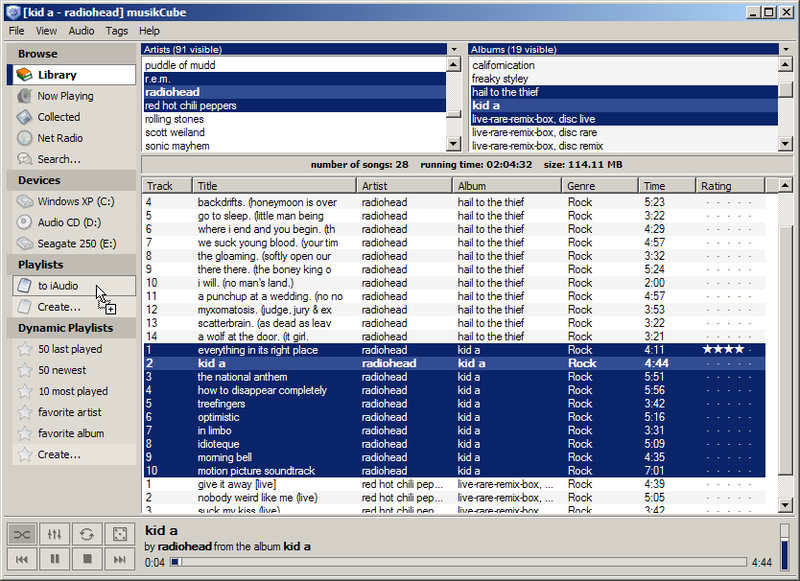 musikcube was a lightweight music library and player for windows. this version is no longer supported or maintained. it was, however recently updated to compile against visual studio 2017. source can be found here. a new version is under development and can be found on github. It works on Windows, OS X, and Linux. You can download the last build of musikcube (v1.1) by clicking here. The source code is BSD licensed, and can be downloaded here. • If you have problems with the final build, you can try version v1.0. • The old website is here, for now. • musikcube odd and ends can be found on DocTriv's website. • If you're feeling nostalgic, check out the screenshot history. Thanks to: Dustin, Rajiv, Daniel, Gunnar, Erik, Colby, Otto, Jooles, Simon, DocTriv, André, #cp and everyone else who made musikCube possible.